Combining the best aspects of a Kenyan safari is what makes this trip so popular. The itinerary offers you the chance to experience the majestic and well-known Masai Mara Game Reserve, the flamingos at Lake Nakuru, the wonderful views of Mount Kilimanjaro, the fresh water spring at Mzimba in the Tsavo West National Park and the famous red elephants in the Tsavo East National Park. After your arrival in Nairobi, you are picked up at the airport and taken to your hotel. You will overnight at the Sarova Panafric Hotel or similar. After breakfast you begin your safari and you head in the direction of the Masai Mara Game Reserve. On your way into the vast steppe landscape of the Masai, you pass the two dormant volcanoes Mount Longonot and Suswa. You arrive at the Masai Mara Game Reserve around lunchtime and in the afternoon enough time has been set aside for your first game drive. The reserve is well-known for its high animal population. Together with the southerly situated Serengeti, the region is famous for the biggest migration on earth (ca. 2 million animals). Hundreds of thousands wildebeest and zebras form part of this long marsh. However other animals like lions, elephants, buffalos and giraffes can also be spotted. 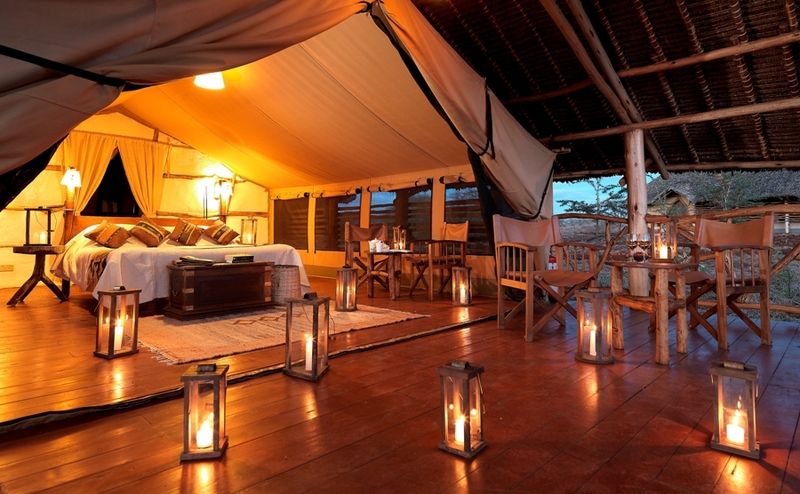 You will overnight at the Sarova Mara Game Camp or similar. 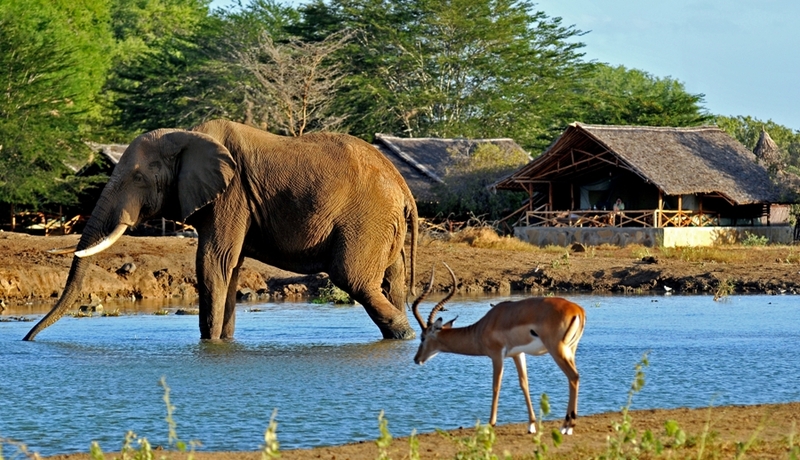 The entire day is dedicated to extensive game viewing with your experienced guide. Among that, a trip to the Mara River is on todays agenda. The river is one of the biggest hurdles for the wildebeest and zebras on their yearly trek. Unbelievable scenes can be witnessed at the end of October and beginning of November when tens of thousands of animals have to cross the river that has risen after all the rainfall and is full of crocodiles. However, even during other seasons, hippos, crocodiles and other animals can be spotted here. You will spend another night at the Sarova Mara Game Camp or similar. 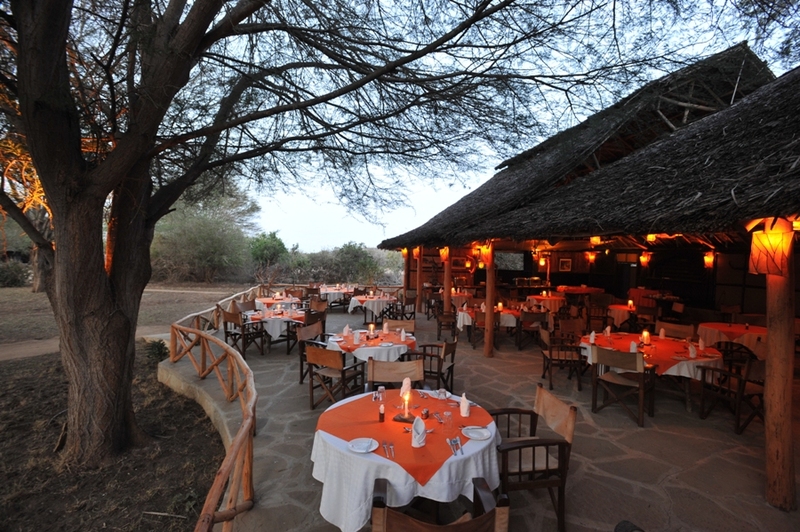 After one last game drive in the Masai Mara Game Reserve, you have breakfast at the Mara Sarova Camp before you travel to the Lake Nakuru National Park. The national park is well-known for the massive population of flamingos and countless other water birds. Along the river bank, buffalos, hippos and maybe even rhinos can be spotted. With a little luck you might even be able to see lions, leopards and the rather rare Rothschild giraffes in the acacia forest and the southerly situated tree savannah region. You will overnight at the Sarova Lion Hill Game Lodge or similar. Your day will start with an early morning game drive in the Lake Nakuru National Park followed by breakfast at the Lion Hill Lodge. You then make your way to Nairobi, where you have lunch at the famous Carnivore Restaurant. After a hearty lunch you continue to the Amboseli National Park, where you can enjoy the beautiful views of Mount Kilimanjaro (dependent on weather conditions). After dinner you look forward to your well-deserved rest after a long day at the Amboseli Serena Safari Camp or at the Satao Elerai or similar. 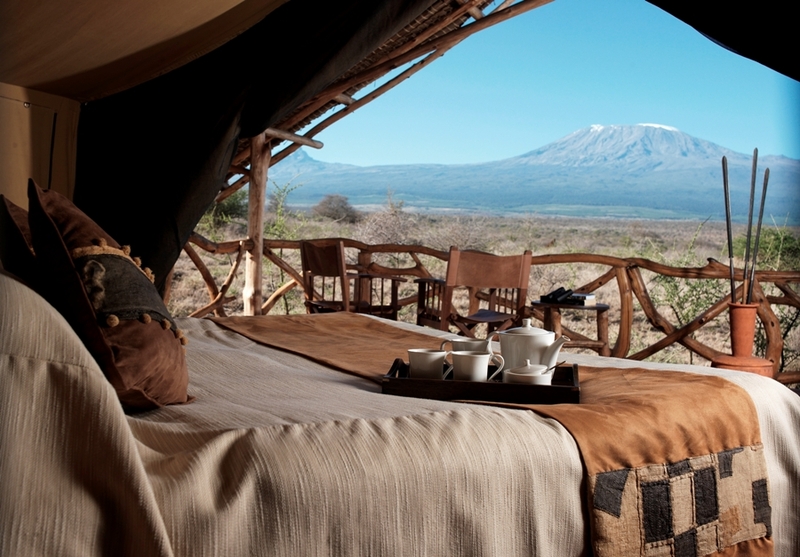 You enjoy a morning game drive in the Amboseli National Park followed by breakfast. You are then able to take it easy and have lunch before you depart for the Tsavo West National Park in the afternoon. During the drive you will pass the amazing lava flows of the Shetani rocks. 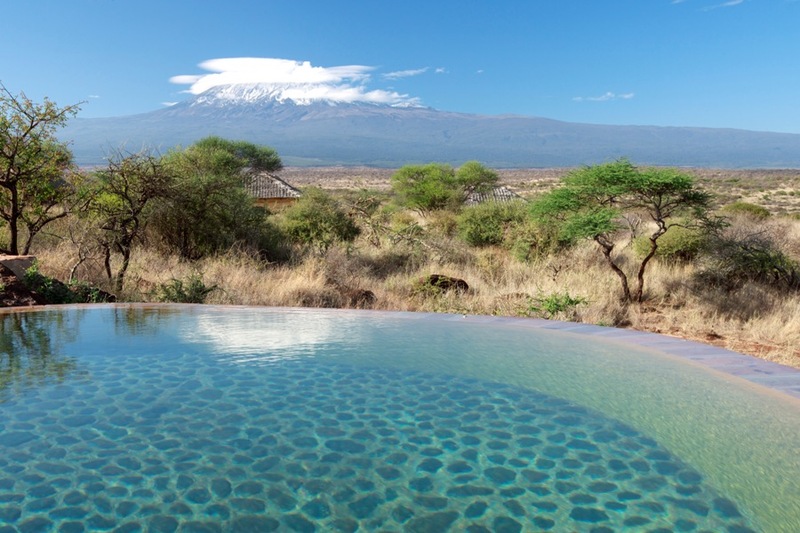 You will overnight at the Kilaguni Serena Safari Lodge or similar. The day starts off with an early morning game drive, followed by breakfast and a visit of the Mzima Springs. You will return to the Kilaguni Serena Lodge in time for lunch before your journey continues to the Tsavo East National Park where you will spend the night at the Satao Camp. Before breakfast, you enjoy your last game drive in the Tsavo East National Park. Then it is time to get going and you make your way to Mombasa, where the journey ends. 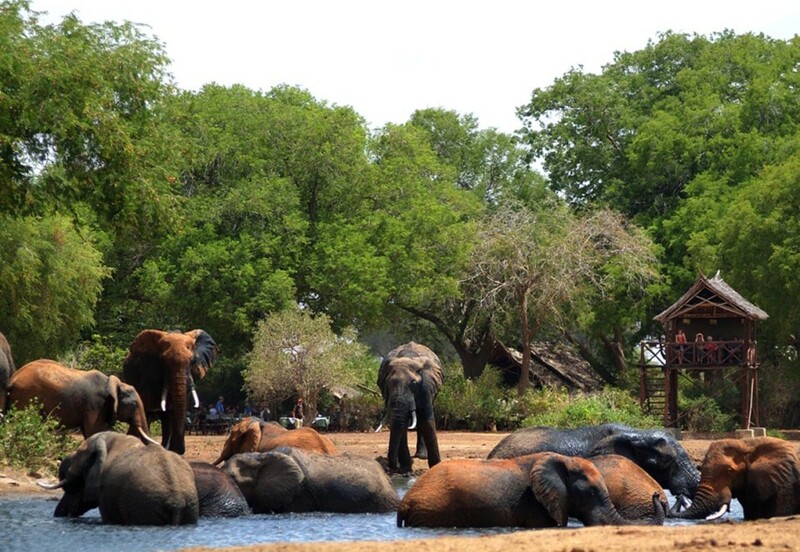 - Generally there is no age limit on small group safaris. Due to the long driving distances we however don’t recommend small group safaris for children under the age of 6 years. But if you as a parent are confident that the long driving distances and the many hours spent in the car won’t bother your child/children, they are welcome to join this safari. Please note that parents are responsible for children at all times. - You will overnight in hotels, safari lodges or in permanent tented camps (with en-suite bathrooms). While the safari lodges are solid structures, the tented camps are permanently fixed walk-in safari style tents, offering the same service as hotels and lodges. - We make use of 4x4 mini buses that have been reconstructed in order to cope with the demanding African conditions. Each guest is guaranteed a window seat and during game drives, the roof can be opened. - Meals are included as indicated in the itinerary. Soft drinks and alcoholic beverages are not included and are for your own account. - Meals are enjoyed at the accommodations. Breakfast is buffet and for lunch and dinner you are usually offered a three course menu or a buffet. Please inform us of any special dietary requirements you may have. - Lunch can also be en route at a designated picnic spot in form of a lunch box, which can contain sandwiches, boiled eggs and fruits or grilled chicken thighs for example. - The safari starts and ends in Kenya, a yellow fever region, which is why we recommend a yellow fever vaccination. 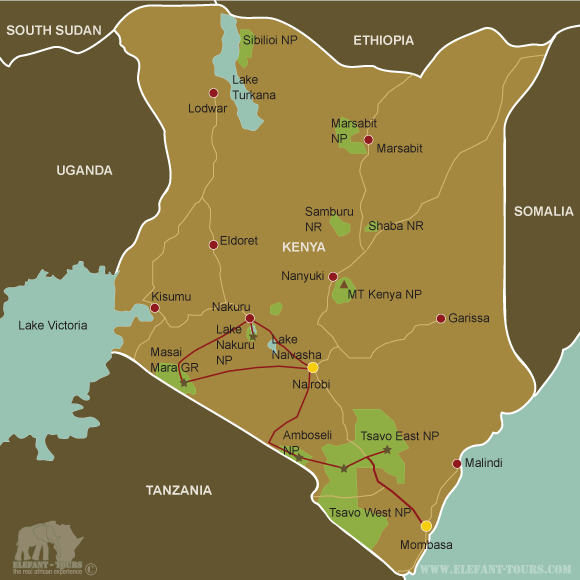 - Kenya is also situated within a malaria area, wherefore we would recommend some precautions. Please speak to your doctor or travel clinic about the different prophylaxis and their effects and side effects.